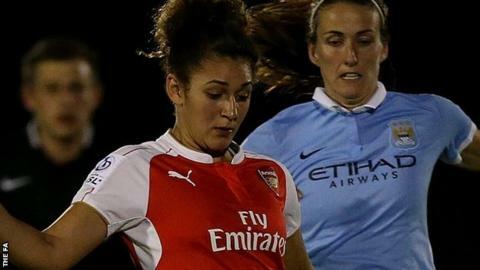 Chelsea Ladies have signed goalkeeper Becky Spencer and midfielder Jade Bailey from Birmingham City Ladies and Arsenal Ladies respectively. Spencer, 24, spent three years at Birmingham, who finished sixth last season - 19 points behind Emma Hayes' title-winning Chelsea side. Bailey, 20, is an England Under-23 international and played in the 2013 European Women's Under-19 Championship. "I want homegrown, English players who want to grow with us," said Hayes. "Becky has developed into a top goalkeeper and arrives with Champions League experience and a desire to reach the next level in her career. "Jade is a player I have known about for some time and for someone who is 20 has fantastic experience, having started for Arsenal for the past two seasons."